Just the other day, one of my younger cousins sent me a test message, asking if eating fruits alone (for dinner) is fine for her to lose extra pounds. I said no problem since I've tried that before when I was on my early 20's. I mean, I ate regular meals for breakfast and lunch, then only fruits like apple, orange, or banana for dinner. The changes in my body wasn't very dramatic, but it helped me to drop some weight. Today, while reading my old posts with the same subject, I realized that I should be an advocate of healthy dieting. I strongly believe that every girl should know the importance of eating properly and not skipping meals or fasting in order to slim down. 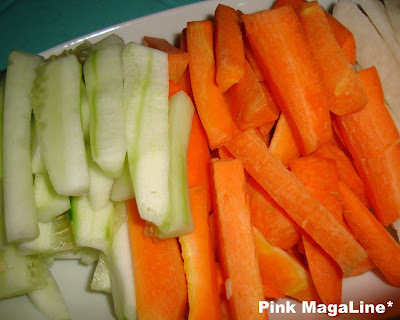 Healthy Tip: Eat cucumber and carrot sticks instead of cookies or biscuits for snacks. A lot of young women are (unconsciously) sacrificing their health just to reach an ideal size or weight these days. There are girls who trade in regular meals with diet pills and other crazy diet options, others suffer from common eating disorders like anorexia nervosa and bulimia. According Wikipedia, an estimated 5 to 10 million people are affected by these kinds of eating disorder in the US alone. Healthy Tip: For breakfast, eat high-fiber root crops like sweet potatoes instead of bread or pancakes. I remember being on a low-carb-less-fat-no-sweets-diet when I was pregnant and diagnosed with GDM (Gestational Diabetes Mellitus). I also tried being a pesco-vegetarian last year. 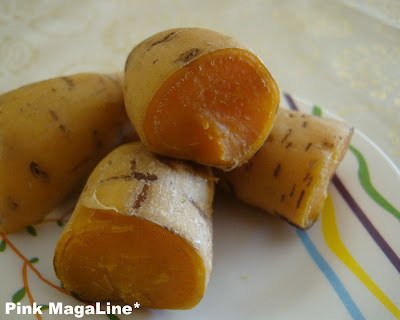 Nowadays, I am working on camote or sweet potato diet for breakfast and only 1/2 to 1 cup of rice every lunch and dinner. Plus, I also spread my meals throughout the day to make my metabolism work faster, then I do some sort of exercise to tone my body. Mind you, never that I intentionally skipped meals nor drank mainly liquids for my weight to go down the scale. I am afraid missing the essentials nutrients from food is dangerous and could lead to serious health problems. Besides, while there is treatment and recovery on sickness related to extreme dieting and eating disorders, most pharmacies in the Philippines do not guarantee the lowest prices on prescription medication, unlike Canada drug pharmacy in America. Bottom line is, getting sick may cost a lot of money so do not do any crazy diet unless it's healthy! I super agree with you sis! Skipping meals as a way of losing weight is not a good idea. If you don't do it the healthy way, feeling ko, para kang prutas na maganda on the outside but dry and not juicy on the inside... or baka bulok na. Feeling ko, if you try to lose weight the unhealthy way, para kang fruit na maganda ang itsura sa labas, tapos dry and juice-less sa loob. That's how I'm losing weight right now. I tried (unsuccessfully) the Dukan Diet but realized I'm better off just trying to eat healthier.